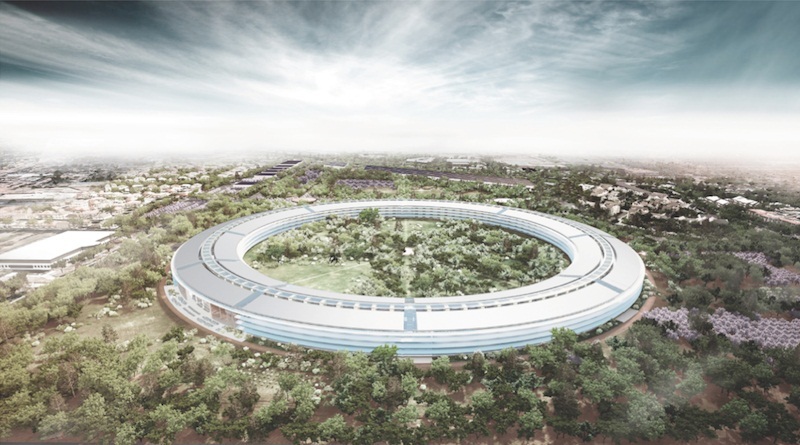 We reported last week about Apple’s new Spaceship campus. Today new reports came out that said that it was larger than pentagon itself! Mac Observer suggests that the new campus is larger than the U.S. Pentagon and New York City’s Empire State Building. The diameter of Apple’s new campus will be 1,615 feet, which will span farther than the Pentagon’s diameter of 1,566 feet. Also, the distance across the massive circle is greater than the height of the Empire State Building, at 1,250 feet. The image shows the with a cruise ship, U.S. nuclear aircraft carrier, a blimp, a World War II battleship, and a supertanker laid over them. Also, the ”Spaceship” stretches farther across all of those objects. The longest object shown in the illustration is a supertanker at 1,504 feet. Apple’s new campus will occupy about 2.8 million square feet, and will include an auditorium that would hold 1,000 people, and new research facilities including 300,000 square feet. The facility will be able to support up to 13,000 employees. The company still must obtain formal approval, but Cupertino Mayor Gilbert Wong said there is “no chance” that the council would not approve the structure. If all goes according to plan, Apple plants to open the new campus in 2015. Apple’s Updated New Campus Documents Submitted!